New regulations have kicked in for 2019 – including a few affecting anglers and boaters. STATEWIDE — California is under new leadership in 2019, with Gov. Jerry Brown departing the gubernatorial mansion for the last time ever. His 16-year run as California’s top executive – including his most recent tenure from 2011 to 2019 – has certainly been met with mixed reactions. Gavin Newsom now takes the reigns as the state’s governor, and time will tell how his leadership will play out for anglers and boaters. There are a few laws already in effect, however, as Newsom moves into the governorship. The laws mentioned below were approved as Brown’s final acts as California governor and directly affect anglers, boaters and the environment. Law enforcement officers will be able to impound a boat or other personal watercraft if it was used during the commission of a crime, thanks to a bill Brown signed into law in September 2018. 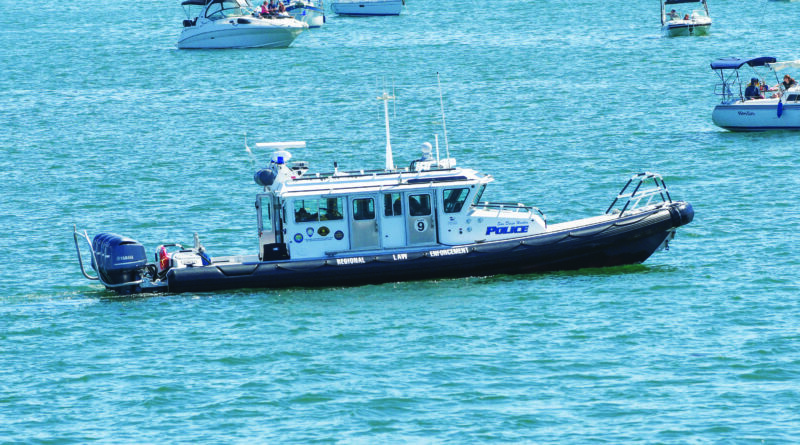 Assembly Bill 2175, which is now on the books, specifically gives harbor police, Sheriff’s deputies or other similar law enforcement departments the power to place a lien on any vessel or watercraft they believe, based upon probable cause, was used during a crime. The vessel or watercraft owner would be responsible for storage and towing costs if he or she was convicted of a crime (and it was proven the vessel or watercraft was used in the commission of convicted crime). Technical changes to California’s Endangered Species Act officially went into effect this year. The changes allow the state’s Department of Fish and Wildlife to operate with greater flexibility while providing the public with a more transparent process of the agency’s endangered species decisions. Some of the specific updates to the Endangered Species Act include an expansion of the Safe Harbor program, added definitions for declining or vulnerable species, the creation of a non-regulatory process for the de-listing of species and an establishment of a public process prior to the adoption of recovery plans. Administrative costs associated with the technical changes to the Endangered Species Act could range between $500,000 and $1 million. Fees proposed within the updated law, however, could offset the costs. California’s State Lands Commission must develop a plan to remove abandoned commercial vessels from the Sacramento-San Joaquin Delta by July 1, a little less than six months from now. Drift gillnets have officially been banned from of the California coast. Brown signed the proposal into law in September 2018. The large fishing nets used to catch swordfish but often kill or harm other fish species in the process. A plan to allow commercial fisheries to voluntarily phase out drift gillnets must be in place by March 21, 2020. The phase out must be completed by Jan. 31, 2023. There are only 20 drift gillnet permits currently in use, down from about 120 in the early 1990s, according to previous reporting by The Log. Assembly member Ian Calderon, D-Whittier, successfully introduced a plastic straw restriction for certain restaurants. Plastic straw, as of Jan. 1, will only be available upon request at full-service dine-in restaurants. The new law does not apply to fast food restaurants. Brown signed the bill, which stated 835,425 straws were collected from California’s beaches between 1988 and 2014, in September 2018. It is the first-ever statewide law regulating the distribution of plastic straws at full-service dine-in establishments. “Straws are the sixth most common item found during organized beach cleanups,” read a statement issued by Calderon’s office shortly after Brown’s signing of Assembly Bill 1884. California’s Ocean Protection Council was tapped to develop a Statewide Microplastics Strategy by Dec. 31, 2021. The strategy must be implemented by Dec. 31, 2024, according to the new law.